The future of your business rides on the IT architecture you are defining today. Make sure yours allows you to mix vendors, seamlessly interconnect across multicloud and existing IT, and develop and deploy where you need to, using the latest technologies. Meaningful, rapid innovation requires an open architecture built for maximum flexibility. 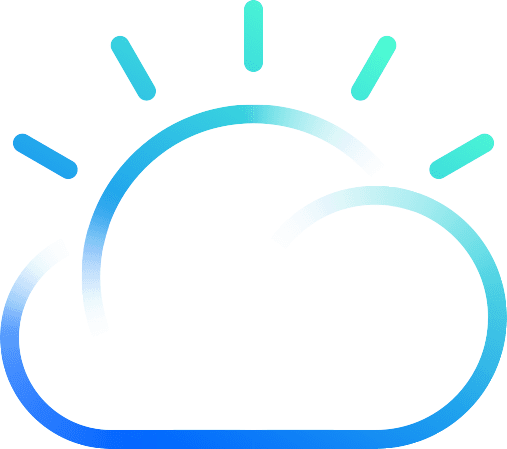 With a choice of the latest technologies from any source, developed and deployed on the best-fit cloud model, you can build a cloud that’s the smartest for your business. There’s enormous potential hidden in your data, but it often remains trapped in siloes — both on premises and in the cloud. A multicloud architecture securely integrates and governs all your data, providing greater visibility, control and insight across the business. As multicloud environments proliferate, so does complexity. Take control with management solutions that optimize for service quality, security and cost across your unique mix of clouds. Discover and learn what you can do with cloud. What would you like to do? Step by step explore the cloud that is right for you. Learn about myths of the cloud. Learn how to fuel innovation, unlock insights and optimize the cloud. Today's companies operate in a multicloud world. This calls for flexibility to move data and apps across platforms, unlock the value from more data sources, and manage all clouds. It calls for a cloud for smarter business. Modernize existing apps, create new ones with the latest technologies, and deploy on the best-fit cloud model. Deliver innovation with an open cloud architecture that's built for your apps. Build an AI-ready foundation to easily access, integrate govern and analyze all your data, across cloud and traditional IT, and accelerate your journey to AI. Centrally procure cloud services and optimize delivery across multi-vendor environments with secure-to-the-core cloud brokerage and DevOps. IT leaders today are driving innovation with cloud native design and technologies like AI, IoT, and blockchain. Accelerate digital transformation with a flexible, future-proof cloud architecture. You have selected 0 PDF file . We're here to help you on your cloud journey. Get the answers you need.